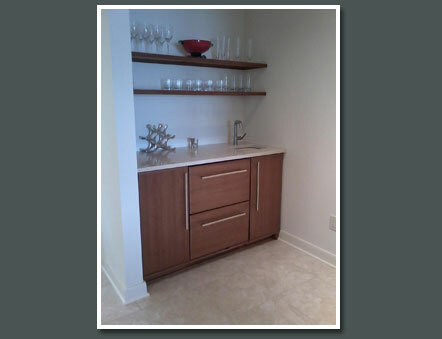 "Michael David Cabinetry was wonderful to work with as we'd never remodeled or built prior to working with Mike and his team. As a first timer, the experience of building my dream kitchen was Fabulous! Mike touched on every aspect of putting together cabinets I never thought about, from the baseboards, to the side embellishments, to molding, did I want cabinets with shelving or cabinets with drawers! Then, how I wanted the drawer itself to look like, how did I want them to retract, the sliders that I wanted, and the stain color! So much more to think about and make my kitchen, truly, my dream kitchen! He worked with me with what I wanted and needed."